Durham City Council prevents the militarization of its police following a community-led effort, in first win for Jewish Voice for Peace’s Deadly Exchange campaign. 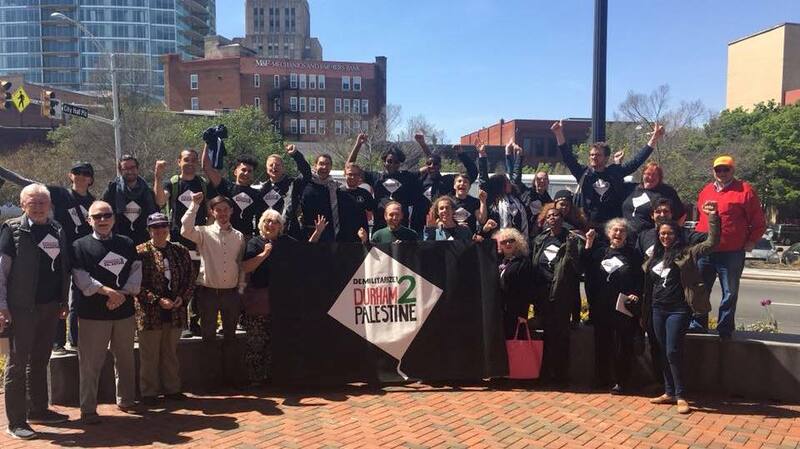 DURHAM, NC: Late Monday evening, Durham voted unanimously to become the first city in the U.S. to prohibit police exchanges with Israel, after broad community pressure and popular petition by the Demilitarize! Durham2Palestine coalition, an affiliate of the Deadly Exchange Campaign. The policy, which states that, “the Council opposes international exchanges with any country in which Durham officers receive military-style training,” was voted into official policy of the City of Durham during heated debate at City Council. In a time of increasing concern about policing and police violence, in particular for communities of color, the city of Durham is leading the way in declaring that safety for all means de-militarizing the police force. From traffic stops that target Black drivers, to checkpoints that target immigrant communities, to police murders of Black, Brown, and disabled people, police forces cause daily harm. Police exchanges between the U.S. and Israel explicitly offer U.S. police officers exposure to methods used against Palestinians that numerous international human rights groups say are discriminatory and lead to human rights violations. “The Demilitarize Durham2Palestine Coalition is leading the way as a model of how to build communities that value safety for all people. We are thrilled by this first win of the Deadly Exchange campaign, which is especially meaningful as a response to the ongoing targeting of unarmed Palestinians in Gaza and the call from the Boycott, Divestment and Sanction Movement in response to end U.S./Israel police exchanges,” stated Jewish Voice for Peace Executive Director Rebecca Vilkomerson. Ending police training exchanges between U.S. law enforcement and Israeli security forces, according to the Deadly Exchange campaign, works towards reducing state violence and discrimination. Since the early 2000s, thousands of U.S. police officers, sheriffs, border patrol agents, ICE officers and FBI agents have trained with Israeli military and police forces. Through one of these programs, the Anti-Defamation League’s (ADL) National Counter-Terrorism Seminar (NCTS), U.S. law enforcement agents visit checkpoints and prisons and meet with Israeli officials at other sites of violence and racial profiling, such as Hebron’s settler-controlled areas and Ben Gurion airport. “This policy is a powerful affirmation of the solidarity many of us feel with Palestinians in Gaza, who continue to march for land and freedom despite IDF massacres, and it is an important step towards a demilitarized Durham, where all people can be truly safe and free,” added Noah Rubin-Blose of Jewish Voice for Peace – Triangle NC, another coalition member. In recent decades, the U.S. has witnessed a shift in policing, a post-9/11 trend bringing counter-terrorism logics, technology and tactics into domestic policing and immigration policy. This militarization of the police has led to the increased police violence against communities of color, intrusive surveillance particularly in Muslim communities, and the violent repression of Indigenous-led movements, compounded with increased police targeting of people of color, including in the city of Durham. Law enforcement exchange programs, under the banner of Israeli counterterrorism expertise, contribute to these deadly trends by encouraging an even deeper application of counterterror and counter-insurgency models into domestic policing, immigration and surveillance policies and practices. In order to raise their concerns over possible police exchanges with Israel, the Demilitarize! Durham2Palestine coalition of ten local organizations, including the Jewish Voice for Peace-Triangle, NC chapter, led a petition drive that gathered over 1,200 signatures of Durham residents in opposition to such exchanges with Israel. The coalition was galvanized as Durham’s current Police Chief, Cerelyn Davis, previously organized police exchanges between Atlanta and Israel through the Atlanta Police Leadership Institute International Exchange Program. Moreover, Durham’s past Police Chief Jose Lopez, while in office, participated in the American Defense League’s National Counter-Terrorism Seminar with the Israeli Defense Force in 2008; the ADL lists the Durham Police Department as one of many law enforcement agencies trained through NCTS. The New York Times, the Houston Chronicle, the San Francisco Chronicle, US News & World Report, the Miami Herald, the UK Daily Mail, the Washington Times, the Seattle Times, and The Forward, among 200 other media outlets, published the Associated Press’ coverage of JVP’s Deadly Exchange victory in Durham in City panel OKs policy banning exchanges with Israeli police. Haaretz and much of the Jewish press published the JTA’s coverage, and Common Dreams, and Mondoweiss also reported on Durham’s new policy banning police exchanges with Israel. 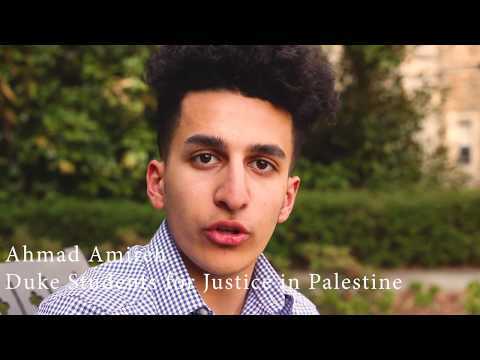 Deadly Exchange is a Jewish Voice for Peace-anchored national campaign seeking to end U.S.-Israel police exchanges and reimagine community safety, beyond policing and militarization.